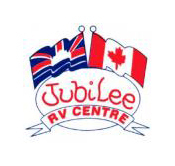 Jubilee RV Centre in KAMLOOPS, BC treats the needs of each individual customer with paramount concern. We know that you have high expectations, and as a dealer we enjoy the challenge of meeting and exceeding those standards each and every time. Allow us to demonstrate our commitment to excellence! come check out our full line of Outdoors RV product,Back Country RV,Windriver RV,Timber Ridge RV,Creekside RV,Tamarack RV trailers.. Our experienced sales staff are eager to share there knowledge and enthusiasm regarding RV'S in Kamloops and surrounding area with you. We encourage you to browse our online inventory of new and used Park models,ask our customers from chilliwack to southern alberta about our great service and pricing,,used class c Motor homes,class A Motor homes, schedule a test drive and investigate financing options.